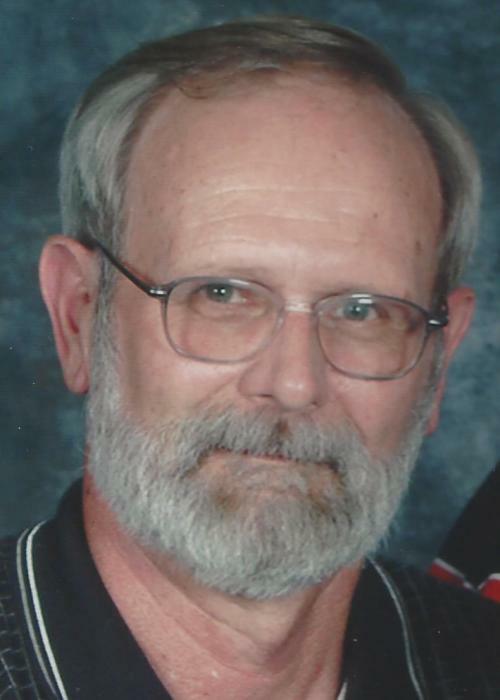 Jack P. Carrico, 73, of Viola, Illinois died Tuesday, May 22, 2018 at Genesis Senior Living, Aledo. Visitation is Monday, May 28th from 4:00 – 7:00 p.m. at Dennison Funeral Home, Viola. Funeral services are 10:00 a.m. on Tuesday, May 29th at Dennison Funeral Home, Viola. Burial will be in the Rock Island National Cemetery with military rites by Moline American Legion Post 246. Memorials may be left for the American Legion. Jack was born May 11, 1945 in Grand Mound, Iowa the son of John and Freida Tiedje Goodell. His mother died during child birth and he was later adopted and raised by his aunt, Ethel Carrico. After graduating from Davenport West High School in 1963, he joined the Army…serving from June 17, 1963 until May 2, 1966. He completed his basic training at Fort Leonard Wood, served 1 year with the 809th Engineers in Thailand and 1 ½ years with Berlin Brigade Special Troops. On November 3, 1979, he married Marilyn Messmer in Orion, Illinois. Jack worked at the Rock Island Arsenal for 33 years, retiring in 1999. He then drove a school bus for Sherrard schools for 9 years, retiring in 2009. He was a member of American Legion Post 229, SAL Squadron 229, both in Viola, as well as Moline Forty and Eight Voiture 237. He was a charter member of Viola VFW Post 2623. Jack held many positions over the years, including Adjutant and Commander of both the VFW and Legion and Chef de Gare of Forty and Eight. For the American Legion, Jack served as 14th District Commander and 3rd Division Commander of the State of Illinois. He was on the Illinois Boys State Staff in Charleston, IL for 15 years. Jack was a Boy Scout leader for many years, fearlessly defending campsites from raccoons. He and his son were both recognized with the Order of the Arrow. He had served on the New Windsor Calvary Lutheran Church Council and was a trustee of the Viola Village Board for 15 years. Jack coached Pony League baseball in Davenport and Little League baseball in Viola. Those left to cherish his memory are his wife: Marilyn Carrico of Viola, IL; children: Lisa Adner and her husband, Scott of Rock Island, IL and Christopher Carrico and his fiancé, Miranda Dellert of Chicago, IL; grandchildren: Connor and Isabella Adner; sisters: Ruby Claussen of Eldridge, IA and Lucille Kirst of Camanche, IA; sister-in-law and brother-in-law: Julie and Bob Blew of Rock Island, IL and several nieces and nephews. He was preceded in death by his parents and sister, Janet Rathjen.